← Mastrapasqua e De Girolamo out. Cancellieri ancora in. Che fine ha fatto il senso del pudore? 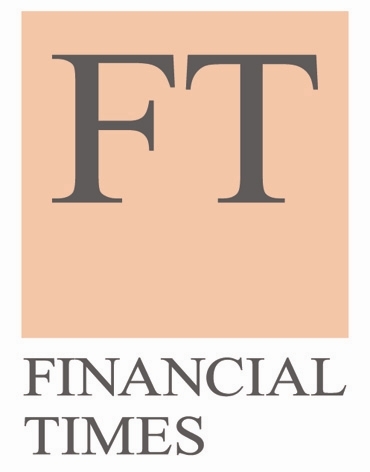 Ecco il mio articolo, uscito stamattina sul Financial Times, che svela i retroscena di quell’estate del 2011, quando Giorgio Napolitano già sondava Mario Monti sulla sua disponibilità a prendere il posto di Silvio Berlusconi, cosa che effettivamente avvenne solo diversi mesi dopo. 10 febbraio 2014 – For years Carlo De Benedetti, the Italian industrial tycoon, has spent a few days each summer relaxing with friends and family in the refreshing climate of St Moritz. The posh Swiss resort is a favourite with the great and good of Italy, among them Mario Monti, the former prime minister and an old friend of Mr De Benedetti’s. In the summer of 2011 the two met in the industrialist’s alpine retreat for a private chat about a development that was to have profound public consequences. The offer from Giorgio Napolitano, the Italian president, to Mr Monti of the job of prime minister – a post that was still very much occupied by Silvio Berlusconi, the billionaire centre-right politician – is at the core of serious questions of legitimacy in Italy. What happened in Italy that summer and autumn as policy makers battled the crisis gripping the eurozone is still a subject of intense debate. That the president was planning the replacement of the elected Mr Berlusconi by the unelected technocrat Mr Monti – months ahead of the eventual transfer of power in November – reinforces concerns about Mr Napolitano’s repeated and forceful interventions in politics. His outsized role since the crisis has led many to question whether he stretched his constitutional powers to their limits – or even beyond. Outside the calm of St Moritz that summer, the eurozone crisis was raging. Market speculation against Italian and Spanish sovereign debt was rampant and the spread between Italian Treasury bonds and German Bunds was rocketing. As its borrowing costs rose there was talk that Italy could default. Italy was in crisis – politically as well as economically. In Rome, Mr Berlusconi was presiding over a rancorous, unstable coalition and increasingly distracted by allegations over sexual relations with Karim el-Mahroug, a Moroccan nightclub dancer. All of Europe seemed to be lambasting him. Yet despite the controversy engulfing Mr Berlusconi, he was still the sitting prime minister and his government was legitimate under the rules of Italy’s parliamentary democracy. How long that might last was a subject of conversation between Mr De Benedetti and Mr Monti that August. “I told Mario that he should take the job but that it was all a question of timing. If Napolitano formalised the offer in September then that was fine, but if he left it until December then it would be too late,” recounts Mr De Benedetti. Corrado Passera, a leading banker who was to become Mr Monti’s minister for economic development, infrastructure and transport, was meanwhile given the green light that summer by Mr Napolitano to prepare a confidential 196-page document containing his own proposals for a wide-ranging “shock therapy” for the Italian economy. It was a programme of proposed government policies and reforms that went through four successive drafts as Mr Napolitano and Mr Passera discussed it back and forth that summer and into the autumn. On November 9 2011 Mr Napolitano appointed Mr Monti a senator for life, thus making him a member of parliament. On November 12, at a meeting with the president, Mr Berlusconi resigned, ending his third stint as prime minister. Within 24 hours – rather than call for fresh elections – Mr Napolitano named Mr Monti, the economics professor and former European commissioner who had never held elected office, as prime minister. The full cabinet was sworn in three days later. Mr Berlusconi’s supporters cried foul and made noisy claims that there had been a “coup”. In the capitals of Europe there were cheers but Italy was divided, with relief on the left and anger on the right. In a lengthy videotaped interview with Mr Monti, he confirmed the conversation with Mr De Benedetti in St Moritz. He also acknowledged the conversation with Mr Prodi in June 2011, though at first he played down these talks, saying that the idea of him becoming prime minister “was sort of in the air”. Pressed again, and asked if he wished to deny on the record that in June and July of 2011 President Napolitano had either asked him explicitly or had made it clear that he wanted him to be available to become the new prime minister, Mr Monti replied falteringly, in a voice that became almost a whisper: “Yes. He, uh, he gave me a signal in that direction.” After this revelation a look of extreme discomfort spread across Mr Monti’s face and he stared off to one side. Mr Napolitano did not agree to an interview despite repeated requests. His spokesman had no comment on a series of written questions, including one about which month in 2011 Mr Napolitano had first sounded out Mr Monti to become prime minister. But last week Mr Napolitano commented for the first time on the controversy over his naming of Mr Monti. During a visit to the European parliament in Strasbourg, Mr Napolitano said that while some had described his naming of Mr Monti “as almost invented by me as a personal whim”, in fact he had done so on the basis of indications given to him by parliamentary and political leaders “in the course of consultations as is required”. This explanation could raise further questions in Italy, where such “consultations as is required” would typically have begun only upon the resignation of the prime minister. In Mr Berlusconi’s case, these would have begun upon his November 12 resignation. The Monti government acted swiftly to introduce harsh austerity measures, spending cuts, a value added tax rise and new property duties as well as reform of the pensions system. Praise was duly heaped on him by the European Commission, the International Monetary Fund and financial markets. Many Italians still despise Mr Monti for the austerity programme and see him as a pawn of the European Commission or of Ms Merkel. In retrospect he lacked a political touch but was a useful transition figure at a time of crisis. Adopted in 1948 after more than 20 years of chaos and brutal fascist rule, Italy’s constitution is one of the few documents universally respected by Italians. It guarantees their most basic rights. It is sacrosanct. The president has the power to dissolve parliament when the government loses a confidence vote or enters a crisis, or to name a prime minister if there is a new parliamentary majority or an election result. But Italy is not a presidential republic like France; it is a parliamentary democracy. Planning in secret, even as a contingency measure, to appoint a new prime minister when a parliamentary majority is in place may be a prudent and responsible action for a president but it is not an explicit power assigned by the constitution, even if there is a financial crisis under way in half of Europe as was the case in the summer of 2011. Whatever one thinks of Mr Berlusconi, serious constitutional questions are raised by the behind-the-scenes manoeuvring that resulted in the appointment of his successor. Perhaps the loudest voice to raise these questions is that of Beppe Grillo, the comedian-turned-politician who garnered 25 per cent of the national vote last year. Mr Napolitano, an 89-year-old former communist, has reacted with anger at Mr Grillo’s incessant accusations of the subversion of democracy. Mr Grillo has frequently called for Mr Napolitano’s impeachment. Today, Italy is emerging from recession slowly, with an exceedingly weak and uneven economic recovery. This year is expected to bring less than 1 per cent growth in GDP. Youth unemployment is at a record high of 41.6 per cent, nationwide joblessness is 12.7 per cent and almost a third of families are near the poverty line. Productivity and competitiveness have dropped sharply in recent years. Mr Monti’s successor, Enrico Letta, another leader championed by Mr Napolitano, is under fire for his handling of the economy. Italy remains sharply divided over the events of 2011 and Mr Napolitano’s role in them. The issue of whether Mr Napolitano went beyond his constitutional powers during the summer and autumn of 2011 can be left to future historians. But what is clear now – thanks to Mr Monti’s own admission – is that he and the president had been discussing the prospect of his taking over from Mr Berlusconi long before his official appointment in November of 2011. For Mario Monti it had been a long and secret summer. Nelle prossime settimane ne vedemo “delle belle”. Napolitano si dimette, si fa un nuovo presidente della Repubblica (Rodota’) e poi elezioni. Magari, ma questa è “Science-fiction”. Ho letto il fondo di S. Romano e l’articolo sull’incontro di Monti con DeBenedetti. [Corsera 10 Febbraio 2014]. Non entro nel merito della ipotesi complottista. Tuttavia mi sembra assolutamente opportuno riascoltarsi l’intervista di Bruno Vespa al prof. Monti fatta la sera del 10 Settembre del 2011, a Porta a Porta (nell’ambito della trasmissione rievocativa nel decennale delle Torri Gemelle). Qualsiasi cittadino mediamente interessato alla cose di casa sua non può che intuire un probabile coinvolgimento del professore. Come mai parla in modo così franco e chiaro se deve rimanere ai margini delle questioni di governo? Credo sia fondamentale quello stralcio di trasmissione. Non era tanto segreta,era un segreto di pulcinella che ora diviene palese anche per i più addormentati. Grazie Alan, per me sei un eroe. Si vede che sei un vero ed abile giornalista, non come quelli che abbiamo qui in Italia… voglio leggere il tuo libro. “Adopted in 1948 after more than 20 years of chaos and brutal fascist rule”…di chaos non direi proprio. Di brutale regime certamente. Quello che avrei sempre voluto sapere e quando chiedevo venivo zittita in malo modo. A chi serve un Italia debole e malconcia ?- la politica coloniale insegna…. 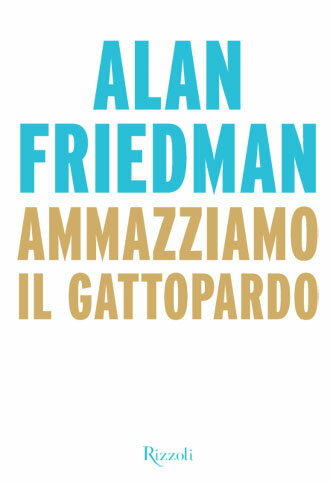 friedman e’ sempre stato un ottimo giornalista a partire dal libro che scrisse tanti anni fa, un po controcorrente, sulla famiglia agnelli..
ma e’ ovvio che i poteri forti e le istituzioni sapessero a quali inconvenienti stava andando contro il cainano per la sua folle vita personale….come non preparare una via d’uscita ? possibile che si sia gia’ dimenticato tutto ?? of clever work and exposure! Keep up the good works guys I’ve included you guys to my personal blogroll. Be on time – Promptness is key to showing respect for others’ time.
. impact on clients so they do additional business with you. This post provides clear idea in support of the new viewers of blogging, that actually how to do running a blog.